Painting Pro’s is now offering custom application of Stoney Brook Wall Coverings! Stoney Brook offers an elegant line of hand painted wall coverings. The unique wall coverings can be applied in contemporary geometric shapes or as torn paper. 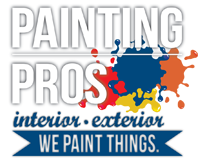 The pros at Painting Pro’s can help you create the unique and custom look that you desire! From elegant to rustic, you’ll find a multitude of color options to compliment any decor! See some samples below or view the full gallery.